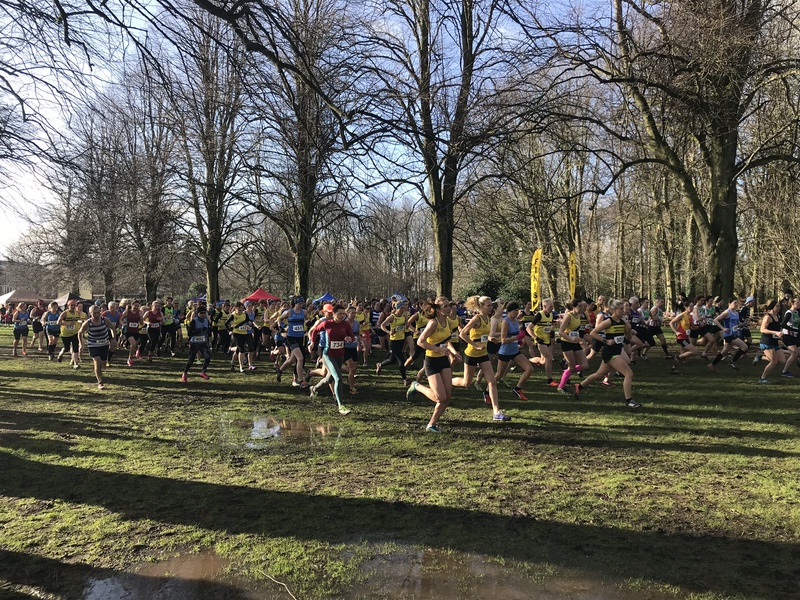 As the penultimate fixture of the cross country league approached the threat of cancellation loomed large over the event, with Storm Erik never far from the organisers thoughts. 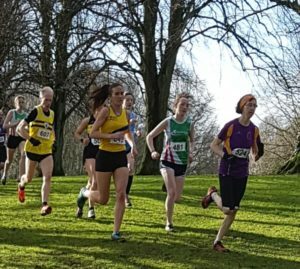 Thankfully the wind and rain of Friday gave way to a pleasant spring like Saturday and in the end the only force of nature on show was the North Down ladies team who continued their recent dominance of league matters. 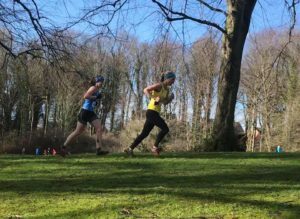 As ever the ladies were competing for the podium positions, but also filled their minimum quota of 12 scoring runners to ensure maximum points with only Lurgan to go. 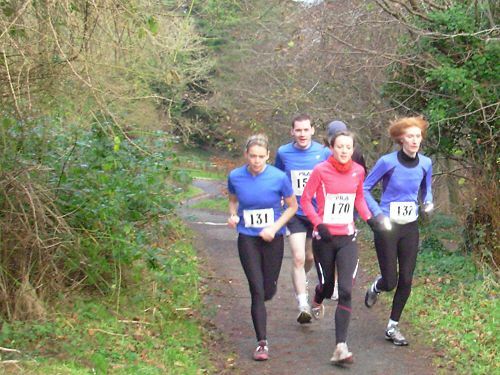 On this occasion Sarah Grant was the star turn, leading from gun to tape in a fine display on front running. 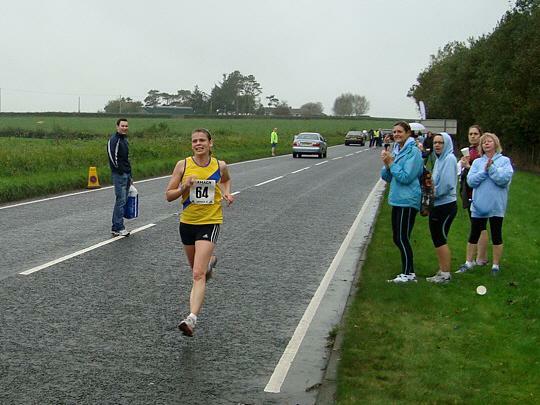 Jodi Smith finished well to pick up 4th position whilst Clair Quigley ran strongly for 16th. 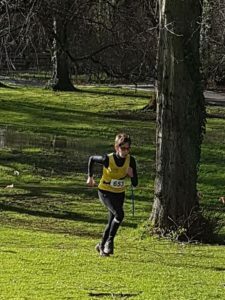 Jessica Scott (31st) put in an excellent shift to finish as first junior, whilst Valerie McDonough (33rd) displayed her usual determination to lead home Helen Byers (39th) and Claire Scott (40th). 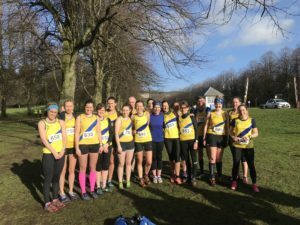 Clare Kennedy (44th), Zara Fulton (63th), Lisa McMeechan (74th), June McMinn (90th), Kathryn Playfair (95th), Jo Moran (102nd) and the ever present Nicola Stevenson (115th) completed club representation on another productive day for the ladies and with one race to go things are looking good for the current holders of the cross country trophy. 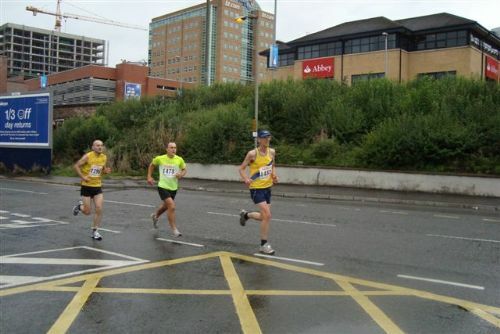 As part of the ladies and vets race Davie Seaton took the honours for the M70’s whilst Pat O’Driscoll was 7th in the same category. 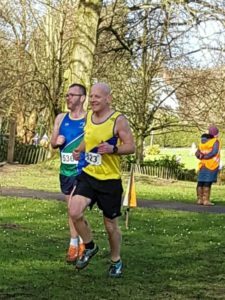 Next up it was the turn of the men, who are also currently top of their league, but with a much narrower lead than the ladies. Again there was a full complement of points scorers with Jamie McMeechan leading them home in 18th position. 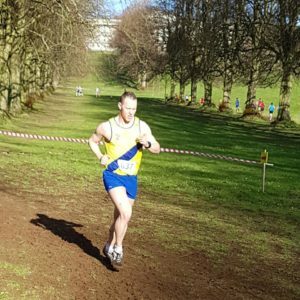 Club captain Dennis Scott made a welcome return from injury to claim 28th place before the ever reliable Mark Weir recorded 35th. 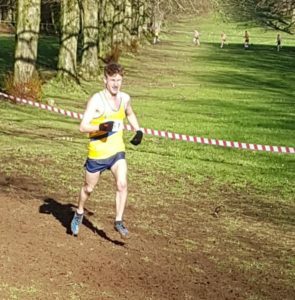 Phillip Ballie took a break from marathon training to claim 81st, just ahead of a fast finishing Steven Donegan in 82nd and Mitch Brown in 87th. 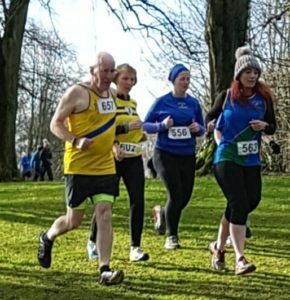 Johnny McGrath was 107th followed by a tightly packed group of Colin Caldwell, Chris Downey and Colin Walker in 120th, 121st and 124th respectively, Davy McMeechan was not far behind in 131st. 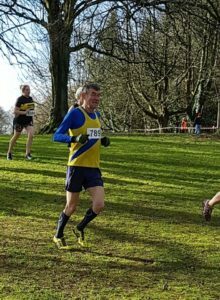 Phillip Mulligan (137th) continued his upward curve after an enforced break, Allen Cox was 153rd and just in front of another club member on a welcome return from injury, Alan Massey in 155th. 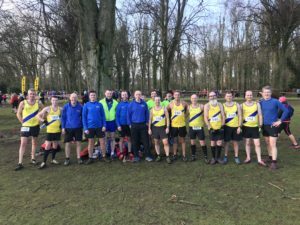 Michael Taylor (164th), John Nolan (169th) and Jamie Stevenson (173rd) rounded out another successful outing for the men, but with only the best four league events to count they will undoubtedly be under pressure from the likes of North Belfast Harriers and Willowfield so it’ll be all hands to the pump for the finale in Lurgan.